Every then and now a new MS Office version comes up and it is usually followed by some totally refurbished features. 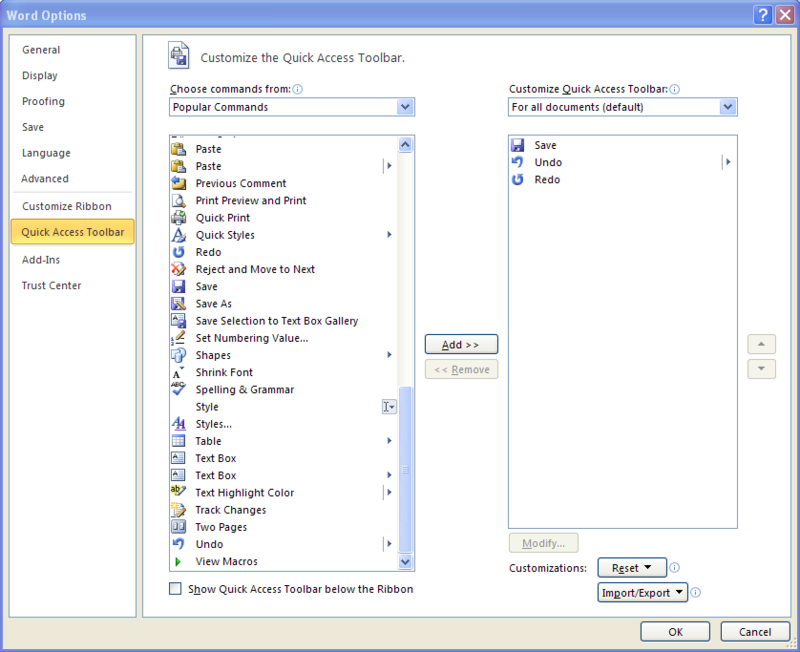 As promising as it seems to have a new set of text editing options, it can be very time-consuming to get accustomed to new MS Word options. It implies learning totally new MS word tips, consider that you already know how to use Microsoft Word for some basic tasks. And with every new feature showing up, you may forget some features from the old versions of Microsoft Word. On top of that, a new MS Word version can have different user interface and you may easily get confused about how to use a certain option. Although you cannot use all features from all the different versions, some of them are actually available in all MS Word versions. This is one the evergreen MS Word tips used for saving toolbar settings, so next time you reinstall Windows, you don’t need to waste time and set up your preferred Toolbar options again. Just click on the File menu and then on the Options button. On the left side of that pop-up window you will see the Quick Access Toolbar. You can choose commands from the left side and add them in your customized toolbar panel on the right side, by clicking on the Add button. What’s more, you can save those settings as default setting for all documents, or only for a specific document. Finally, just click on the Export button to save your settings somewhere safe.